PCMS software is utilized in many different industries for the management of inspection information on piping, pressure vessels, safety relief devices, valves, tanks, and other process equipment. PCMS offers tremendous benefits to any facility to budget and plan long term maintenance strategies to identify problems before failures actually occur, thus reducing unplanned shutdowns. The program provides a host of tools to organize, link, and synchronize information enabling the thorough evaluation of the results. Click here to access our client support portal. PCMS users from around the world converged in Nashville, TN-USA in June 2018 for the 27th PCMS® User Group Meeting. Attendees learned about the PCMS’ advanced capabilities – such as mobile compatibility, fleet-wide Business Intelligence analytics, embedded RBI calculations, and more – along with best practices for implementation and getting the most value out of the software. 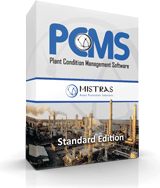 MISTRAS Group, Inc. (NYSE:MG) is proud to announce it has entered an agreement with a leading North American energy provider to deliver Plant Condition Management Software (PCMS®) and Services. The contract also includes Data Conversion services and ongoing program management by certified MISTRAS PCMS® Implementation experts. The agreement makes PCMS® the corporate standard software for all of the Gulf Coast-based customer's business units, which as a major midstream energy services supplier include various crude, refined and petrochemical products in both on and offshore pipelines; as well as fractionation and natural gas processing capabilities. PCMS® utilization includes the execution of Mechanical Integrity management for fixed-equipment and safety release valves to prevent failures, increase safety and streamline inspection tasks. The 2013 edition of the annual PCMS® User Meeting is being held from Tuesday, June 25 - Thursday, June 27 at the Harrah's New Orleans Hotel in New Orleans, Louisiana. This year's meeting will include a demonstration and training on PCMS® Version 8.0 in addition to a wide array of other topics including: implementation best practices, industry presentations, setting the future direction of PCMS®, and research and development initiatives. As in years past, the 2013 PCMS® User Meeting provides clients with a valuable opportunity to network within the industry as well as to actively participate in the shaping and function of future PCMS® versions. In that spirit, we will be hosting a Welcome Reception Monday evening, June 24, in addition to a Dinner Event on Tuesday evening. So Register Now to reserve your spot, and we look forward to seeing you in the Big Easy! MISTRAS Group, Inc. and PCMS are proud to announce the hiring of Ed Matis as Software Development Manager. As PCMS Software Development Manager, Ed will oversee the day-to-day operations of the PCMS development staff while driving process improvement, reducing time-to-market intervals, and managing strategies across IT project teams to foster collaboration. He'll also lead the team in focusing on new functionality for PCMS. Ed brings more than 17 years of experience delivering complex, value-driven Information Technology solutions to customers. "Ed's abilities to plan, develop, manage and implement sophisticated information technology solutions will lead to even more innovative features in our flagship PCMS product," said Jim Redmon, Vice President - Asset Integrity Management Services (AIMS). "Those skills should come in handy in our continuing quest to ensure PCMS is the leading inspection data management tool in the market. We're very excited to add Ed to our PCMS and MISTRAS team." Plains Midstream has selected PCMS as the corporate Mechanical Integrity software solution for 59 facilities throughout North America & Canada. PCMS Consulting has also been contracted to provide full data conversion services from UltraPIPE to PCMS as well as integrated Risk Based Inspection studies at each of the PCMS sites. MISTRAS expertise in legacy data conversions as well as RBI application provides Plains Midstream a full software & service turnkey approach allowing for an efficient implementation for all facilities within the Plains network. MISTRAS is excited to partner with Plains Midstream and help facilitate the company's Mechanical Integrity initiatives. PCMS is pleased to partner with Atlantic Methanol as the selected Mechanical Integrity Software Solution for the LPG and condensate operation. Atlantic Methanol Production Company LLC (AMPCO) operates one of the largest and lowest cost methanol plants in the world. Located in Equatorial Guinea, West Africa, the company has been producing chemical grade methanol from natural gas produced off of Bioko Island since 2001. Universal Studios Hollywood was the host to the 2012 MISTRAS PCMS User Meeting. Clients from over 40 locations around the world joined in to participate in the 3 day session which included reviews of the newly released 7.1, demonstrations of PCMS 8, as well as strategy sessions with the User Group for future development initiatives in the program. PCMS 8 received tremendous reviews during the meeting week for its streamlined interface design, newly embedded KPI tools, and innovative search and query functionality. A demonstration of the PCMS 8 embedded Data Scanner was also performed. The Data Scanner is a significant feature for PCMS 8 users. The tool keys on user-configured thresholds and alerts users to data not meeting a certain criteria. Recommendations are auto-generated to correct conditions. The feature will help PCMS sites reach an improved implementation by standardizing and cleaning up their data. Implementation "Best Practices" was the focus on Day 2 of the conference with the MISTRAS Asset Integrity Services Group providing recommendations on achieving a leading edge implementation using the PCMS program along with their documented program and Mechanical Integrity methodology. The MISTRAS AIMS group provided lessons learned and success stories from the various major Oil and Gas projects executed in the past year. RBI subcommittee updates were also reviewed along with the new PCMS API 581 RBI Calculator under construction. Brian Odenbach, PCMS Business Development Manager noted that "the rapid expansion of PCMS both domestically and abroad continues to bring new users and a whole new knowledge base to our industry-leading product." "This year's meeting was a huge success due to our dedicated User Group, Development team and Implementation Service team. There is a true partnership between MISTRAS and our customers. Coupled with the continued expansion of the MISTRAS AIMS group, we are excited about the bright future ahead for MISTRAS AIMS & PCMS. ", stated Jim Redmon, Vice president of AIMS. MISTRAS would like to thank all the participants that helped make this year's meeting a great success! This year's annual event is being held from June 26th thru June 28th at the Hilton Los Angeles/Universal City. The User Meeting will address a variety of topics and will feature an extensive background of PCMS versions 7.1 & 8, as well as discussions and user voting on product development initiatives. Other presentation topics will include; Web Based & KPI (Key Performance Indicator) Reporting, Best Practices & Implementation Tips, and Product Workshops. The User Meeting provides a forum to network with industry peers and colleagues throughout the week. We will also feature a Welcome Reception on Monday evening, June 25th and a dinner event on Tuesday evening, June 27th. PCMS™ has been selected as the corporate mechanical integrity software solution for the 3rd largest integrated Oil Company, ConocoPhillips. Upstream, Midstream, and Refining Business Units will transition from their existing Inspection Data Management System to PCMS™. The MISTRAS PCMS™ Implementation Division recently completed a full software implementation and data conversion project for the Valero Aruba Refinery. The Data Services team migrated data from UltraPIPE and E2G RBI to PCMS™. Valero Aruba will now have the functionality to perform corrosion analysis, RBI, and inspection planning & scheduling all within PCMS™. The Aruba site joins the other 12 Refineries within the Valero network with PCMS™ as the standard mechanical integrity software platform. The MISTRAS PCMS™ Implementation Division recently completed a full software implementation and data conversion project for the ConocoPhillips Midstream Business Unit. All midstream facilities were migrated from UltraPIPE to PCMS™. PCMS™ User Training was hosted in Durango, CO and led by Brian Odenbach of MISTRAS Group, Inc. and participants included ConocoPhillips Mechanical Integrity, Engineering, and Inspection personnel. The 2011 PCMS™ User Meeting was held June 28th thru June 30th in San Antonio, TX at the Marriott Rivercenter Resort and Conference Center. This year's conference had a record attendance and participation of over 90 clients from major oil, gas and chemical facilities worldwide. The User Meeting addressed a variety of topics and featured an extensive background on the current version, PCMS™ 7, as well as discussions and user voting on current product development initiatives. Current development initiatives that were presented in detail included PCMS™ version 8.0, PCMS™ Implementation Manager, and Web-based Dashboards & Reporting. A demonstration of 8.0 was provided highlighting key areas of the application including a new interface as well new data tools and the re-organization of the application to help users standardize implementation. 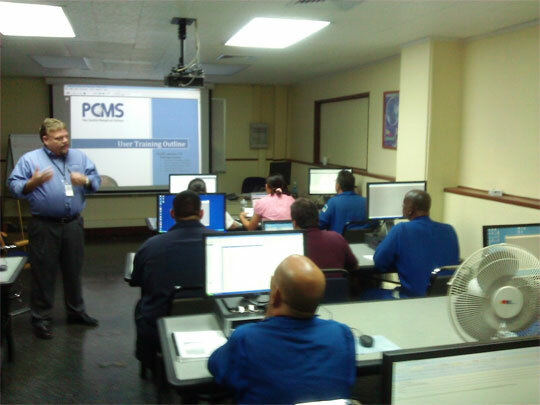 A demonstration of the PCMS™ Implementation Manager was presented to the group as well. The Implementation Manager will provide real time data scanning of the PCMS™ database and alert the user of data conditions and provide recommendations for cleanup and repair. "The PCMS™ product has seen tremendous growth in the last five years and this year's attendance is a great indicator to the strength of the user group," said Jim Redmon, MISTRAS Vice President of Asset Integrity Services. 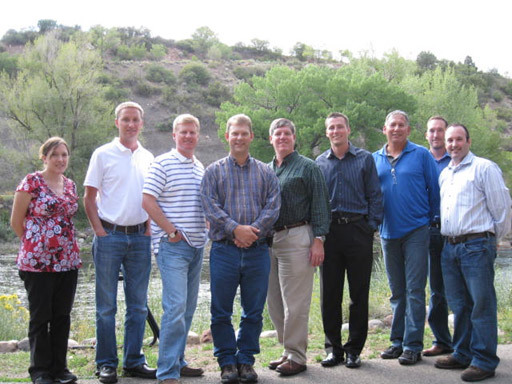 "Our group is comprised of experts from some of the largest Oil & Gas companies in the world, and the progressive ideas that are brought to table for product development are invaluable and one of the major reasons why PCMS™ continues to be the leading mechanical integrity software product on the market today." The PCMS™ Data Services team has recently completed a large scale data conversion project which included a migration from UltraPIPE™ to PCMS™ on seven refineries for a large independent petroleum refiner and marketer. All 13 of the refiner's facilities now implement PCMS™ along with the integrated RBI Calculator making PCMS™ the corporate standard mechanical integrity software solution for this company.